Brookdale Bassett Road wasnt as nice. The room was very small, it was L-shaped, and it was not updated. You still have a step up into the shower, and I didnt like that. A lot of the ones that are updated, they go straight in, which is a lot safer. Brookdale Bassett Road had two facilities and I went to both of them. It was welcoming and the people seemed alert and friendly, which is nice. The dining area was nice, but a little more crowded, and less spacious than I would have liked. There seemed to be some organized board games and some crafts. The staff member during the tour was lovely. Our tour at Brookdale Bassett Road was good. It was nice, quiet, and clean, and everybody seemed friendly. We had some of the desserts when we visited, and coming from a chef, I'd say they were really good. Brookdale was awful. We were mortified at how bad it was and they didn't tell us where they would be putting my grandmother. The wing was like a mental ward and they had a small area for people with Alzheimer's. The staff was okay, but the rooms were very tiny. Brookdale Bassett Road was just awful looking. I signed the contract at 3:30 Friday afternoon, but my mom-in-law couldn’t move in on a Saturday or Sunday. When I went there Sunday to move her stuff in, that’s when I saw that the place would not be suitable for her, but they still charged me for 4 days. They didn’t show me that part of the building when I first came. Their excuse was that they didn’t know she was going into the memory care unit. When they showed me the nice dining room and the other parts, it seemed to be OK, but I didn’t see the other part of the place which is locked down. The whole thing made me sick to my stomach when I saw it. We regret to hear that your experience was less than you expected. Please know the safety and well-being of our residents is our number one priority. We are aware that your mother-in-law has moved into another Brookdale community that better suits your expectations. Brookdale Basset looked like a very quiet and friendly place, but for me, the rooms were small. The staff was very friendly, informative, and compassionate. The best way to get to know a community is by scheduling a tour. See the facilities, meet the staff and residents, and get a feel first hand what it's like to live at Elderwood Village at Bassett Park Assisted Living. Elderwood’s assisted living communities to extend your freedom while offering just the right amount of assistance with your daily needs. We take care of chores like cooking, cleaning, and laundry, as well as medication management and personal care. You’ll be surrounded by a caring staff dedicated to ensuring your comfort and safety. We’re always mindful of your needs while seamlessly coordinating important health services. Levels of care include enriched and enhanced services to help you age in place. So you can enjoy life the way it should be, while your family can relax, knowing help is available if you need it. 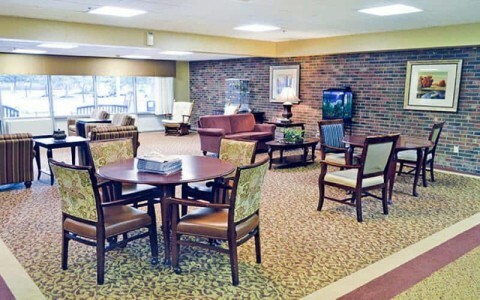 Elderwood Village at Bassett Park is a memory care provider in Williamsville, NY. Staff is on service 24 hours a day. There are activities appropriate for seniors with Alzheimer’s disease and dementia that help keep residents active and engaged. Elderwood Village at Bassett Park may allow residents to keep a dog or cat. Devotional services are provided to residents. Thank you for your interest at Elderwood Village at Bassett Park. Please give us a call to schedule a free tour.